When I was in graduate school and working on an early version of my first novel, Hawke’s Point, my thesis advisor asked me if I’d read Richard Russo. I hadn’t, but when he said my writing reminded him of Russo’s, I rushed out to get everything I could lay my hands on. The advisor’s comment was reinforced when a reviewer of Hawke’s Point also cited a similarity to Russo. To me, though, the similarities between my work and Russo’s were superficial, and I would never dare to put my work on the same level as his. But the connection that others saw inspired me to study his books and learn as much as I could from them. My task became a little easier when I discovered an essay he contributed to Creating Fiction, a textbook edited by Julie Checkoway. Russo’s essay is entitled “Location, Location, Location: Depicting Characters Through Place,” and it’s invaluable to any writer who wants to explore the importance and potential of setting, as well as anyone wanting to better understand Russo’s novels. 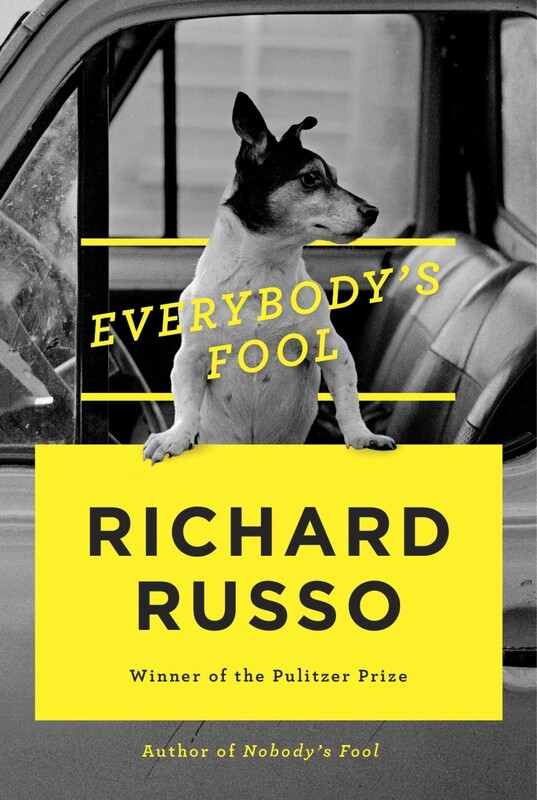 I reread it last week just after completing Everbody’s Fool, Russo’s recent sequel to his Pulitzer Prize winning novel Nobody’s Fool, published more than twenty years ago. Much harder to understand the importance of exterior setting, and the truth is, it doesn’t always matter and it isn’t always useful, especially in today’s modern world where a highway strip sheltering a McDonald’s, a Pizza Hut, a Wal-Mart, and a Home Depot could be almost anywhere. And certainly plenty of great novels aren’t set anywhere (Where is Kafka’s penal colony? Does not knowing detract from the reading experience?). It’s a belief that drives my writing and it’s a belief that is certainly evident in Russo’s latest, Everybody’s Fool, a novel driven by characters who are fully imagined and beautifully brought to life, in large part because the small, down-on-its-luck factory town they all call home is so fully rendered and in part because its influence on the people is so clear that you can’t imagine them living anywhere else. The novel isn’t perfect—there are too many characters too fully developed for my taste—but for anyone interest in studying how to use setting or who appreciates the value of doing so, there is nothing better.